NCERT Exemplar Books serve as a self-assessment guide to the students. These books are developed by The National Council of Educational Research and Training (NCERT). There are questions which cover elementary concepts. NCERT Exemplar Book Class 6 Science is important for students. With introductory concepts on Science, this book is specifically designed for young minds, aspiring to excel in Science. 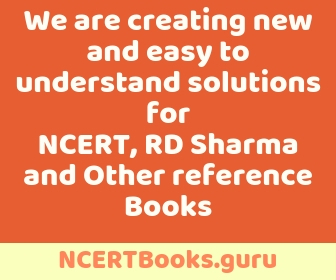 NCERT Exemplar Books are in accordance with the CBSE syllabus. Not only that, it is suitable for students of other Boards as well. 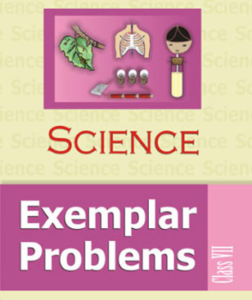 NCERT Exemplar Book Class 6 Science help to create a strong base from class 6, but the students can also take help from other NCERT Books. Why NCERT Exemplar Book Class 6 Science? 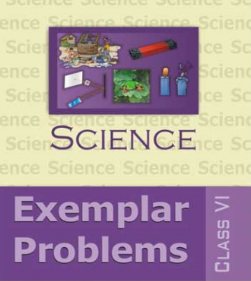 NCERT Exemplar Book Class 6 Science has basic concepts and theories which helps to form a good science base. The students start to learn about plant anatomies and animal anatomies. In addition to that, students also learn about the environment and its components, like pollution, food, water, etc. Science requires to understand the concepts well, rather than just memorising. NCERT Exemplar Book Class 6 Science have questions which will serve the purpose. There are 16 chapters in NCERT Exemplar Book Class 6 Science. Each chapter has 4 categories of questions depending on varying difficulty levels. Those are Multiple Choice Questions, Very Short Answer Questions, Short Answer Questions and Long Answer Questions. Solving them will make the students adaptable to all types of questions. They will be confident enough to face the question paper. NCERT Exemplar Book Class 6 Science also prepares the students for competitive examinations, like National Science Olympiad (NSO), National Science Talent Search Exam (NTSE), Scholarship and Talent Reward Test (STaRT), etc. Therefore, practising NCERT Exemplar Science book will make them aware of various learning techniques as they will be solving a variety of questions. We have provided free PDF links of NCERT Exemplar Book Science Class 6. The links are 100% authentic and free of spam/viruses. To download, click on the required link against the chapter name to view free PDF Questions of NCERT Exemplar Book Class 6 Science. NCERT Exemplar Books are important for students of Class 6. The NCERT books as a self-assessment guide to the students. There are questions which cover elementary concepts. Thereby, preparing students with in-depth knowledge. The NCERT Exemplar Book Class 6 Maths provides questions which are very practical oriented and to the point. The questions cover all concepts really well. NCERT Books are in accordance with the CBSE syllabus. Not only that, it is suitable for students of other Boards as well. hence, students learning basic concepts must try NCERT Exemplar Book Class 6 Maths. 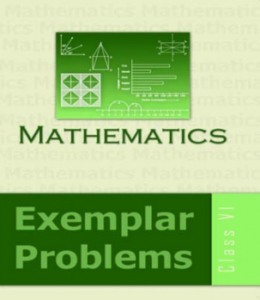 Download free PDF files of NCERT Exemplar problems of Class 6 Maths. Why NCERT Exemplar Book Class 6 Maths? NCERT Exemplar Class 6 Maths is considered an important study material for students of class 6. It is a known fact that students start to learn many new concepts from class 6 onwards. Which in turn, helps them to prepare well for the upcoming Board exams. NCERT Exemplar Book Class 6 Maths helps the students to develop those concepts starting from scratch. It introduces students to Number Systems, Algebra, Decimals, Fractions, Data handling, Mensuration, Ratio and Proportions and Geometry. There are a total of 9 chapters in NCERT Exemplar Book Class 6 Maths. The students learn new concepts of Maths, which is interesting and fun too. With regular practice, students are sure to excel. The book comprises of Summary, Solved Exercises and Unsolved Exercises. The summary acts as a note for all important points of the chapters. It gives a brief description of the concepts. The Solved Exercises gives an idea to the students about the types of questions. The Unsolved Exercises lets them analyse their logical and problem-solving skills. Thus, NCERT Exemplar Book Class 6 Maths is a must for students of class 6. We have provided free links to download the chapters of NCERT Exemplar Book Class 6 Maths. The links are authentic and safe for download Click on the required chapter to download the free PDF Questions of NCERT Exemplar Book Class 6 Science. NCERT Exemplar Books are developed by The National Council of Educational Research and Training. It serves as a self-assessment book for students who want to excel in education. Apart from that, NCERT Exemplar Books make the students ready for competitive exams and entrance exams as well. The syllabus of NCERT Exemplar Book Class 7 Maths has been developed as per the CBSE curriculum. Not only does it help CBSE Board students, but it is helpful for other Board students as well. NCERT Exemplar Book Class 7 Maths is very much essential for students of class 7. It also helps students prepare for competitive examinations that are being held for middle-school students like National Talent Search Examination (NTSE), National Interactive Maths Olympiad (NIMO), Indian National Olympiad (INO), etc. Download NCERT Exemplar Class 7 Maths Book in free PDF format. Why NCERT Exemplar Book Class 7 Maths? NCERT Exemplar Books Class 7 Maths will impart problem- solving skills in students and increase their creativity and speculative ability. Mathematical Problems are not too difficult for students. In fact, every type of student can take help from NCERT Exemplar Book Class 7 Maths. It will increase their reasoning skills. The book contains self-explanatory theories along with detailed descriptions which are not only authentic but easily understandable too. The book contains 12 chapters. Each chapter has various types of questions with varied difficulty levels. The difficulty levels let the students analyse their skill-set and develop their logical and reasoning skills. Class 7 students can use their creativity and speculative ability in chapters of geometry. Thereby, preparing them for more complex concepts of the upcoming classes. Students can take help from NCERT Books as well. Thus, NCERT Exemplar Book Class 7 Maths will let the students fall in love with Maths. Thereby, making them solve different types of questions. We have provided free download links for NCERT Exemplar Book Class 7 Maths. The links are 100% genuine and free from viruses/spam. Click on the link against the chapter name to download NCERT Exemplar Maths Class 7 Book. NCERT Exemplar Books are specifically designed for students of classes 6 to 12. These are important for students of class 7. It serves as a self-assessment book, which helps the students analyse their strengths and weaknesses. NCERT Exemplar books are developed by The National Council of Educational Research and Training (NCERT). NCERT Exemplar Book Class 7 Science is specifically designed for young minds, aspiring to excel in Science. CBSE Board students have an added advantage of following this book since NCERT Exemplar Books follow CBSE Syllabus. In fact, students should be well-versed with the CBSE Syllabus to solve NCERT Exemplar Books properly. Why NCERT Exemplar Book Class 7 Science? NCERT Exemplar Science book for Class 7 stands out to be an important book. The book covers all the topics which help students to start learning about various anatomies from scratch. Students understand the concepts really well since it has detailed theory and diagrams. Therefore, practising NCERT Exemplar Science book will make them aware of various learning techniques as they will be solving a variety of questions. 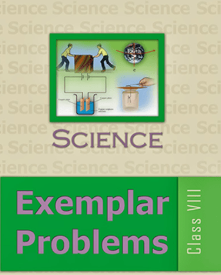 NCERT Exemplar Book Class 7 Science has 18 chapters. Each chapter contains 4 categories of questions depending on varying difficulty levels. Multiple Choice Questions, Very Short Answer Questions, Short Answer Questions and Long Answer Questions. The questions given in NCERT Exemplar Book Class 7 Science are not only meant to serve as a question bank but also to improve the quality of teaching in schools. We have provided free PDF links of NCERT Exemplar Book Class 7 Science. The links are 100% authentic and free of spam/viruses. To download, click on the required link against the chapter name to view free PDF Questions of NCERT Exemplar Book Class 7 Science.